British Oceanographic Data Centre (BODC) Data Scientist, Abby Bull, participated on the recent RRS James Cook Extended Ellett Line (JC086) cruise. The Extended Ellett Line, a transect running from the Scottish Continental Shelf to Iceland, is sampled regularly, generating a time series of physical data essential in understanding the oceanic climate variability in this region. Eager to accept a challenge, Abby (and her large suitcase packed full of seagoing items — the inevitable oversized waterproofs and luminous yellow hard hat) embarked on her first scientific research cruise. Having worked at BODC for just eight months, Abby had limited knowledge of what to expect. She tells her story below. Priority one — don my sea legs and prepare to deal with the inevitable sea sickness. Luckily there was no need to worry, I gained sea legs like a natural and the contents of my stomach stayed put! The weather on the steam up to Iceland went from one extreme to another — calm at first before heading into the danger zone. However, I welcomed some swell as it added to the excitement! To avoid the worst of the weather we deviated from our planned route and sailed further north towards Iceland for cover. 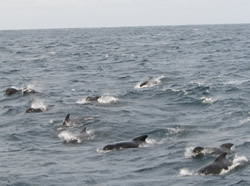 Here I witnessed the midnight sun and made friends with a pod of Pilot Whales. Eventually, it was plain sailing and the scientific work resumed. Initially, I was involved in deploying a CTD (conductivity, temperature and depth) sensor package, which samples a variety of parameters. Later I got my hands dirty with mud samples from depths of around 2000m. A quick test on my face: is this a potential beauty product? No, back to the task in hand! I extracted the mud from a sled and sieved it to separate the different sized particles. This was back-breaking work so I was relieved to return to CTD sampling for the remainder of the cruise. My experience of seagoing has given me insight into the practical element behind oceanographic data collection. I had an opportunity to build relationships with researchers and technicians and to ensure that an appropriate level of attention was devoted to compiling metadata — information about the data. 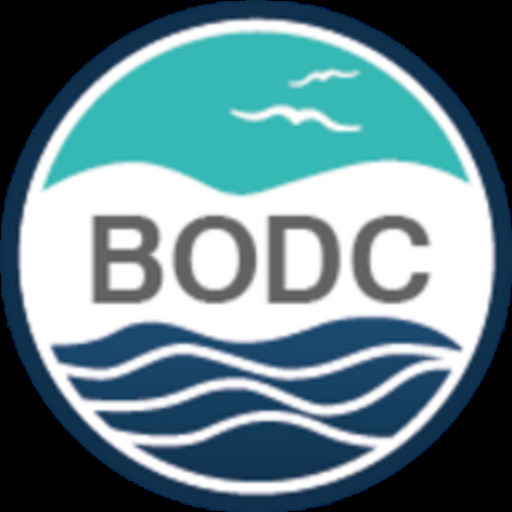 The end result: accessible marine data resources to be distributed by BODC for reuse by the scientific community and the public.